What is the best reverse osmosis system? 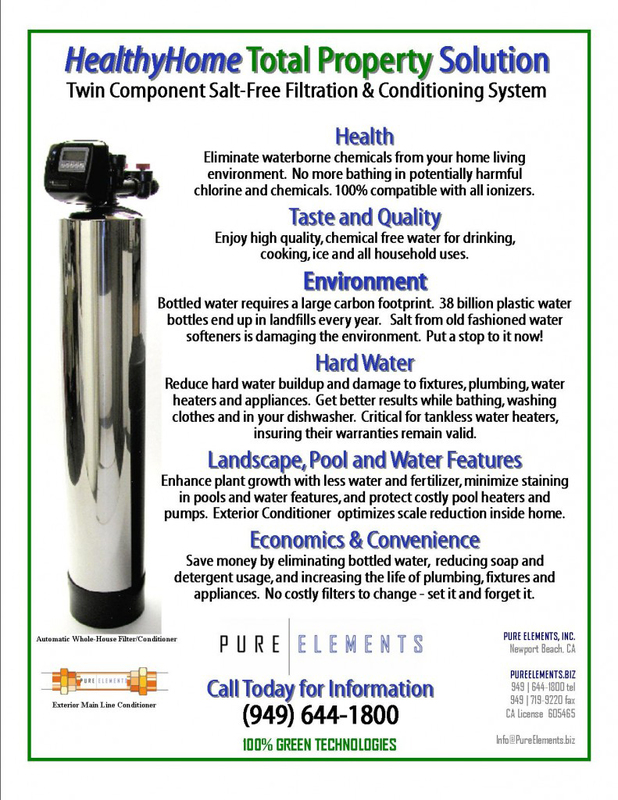 At Pure Elements our main focus is the HealthyHome Solutions whole house water filter. We feel this is the best whole home water filter system available and we customize it to our client’s individual needs. We also have expertise in reverse osmosis systems, which are another component that can be added to a custom installation. 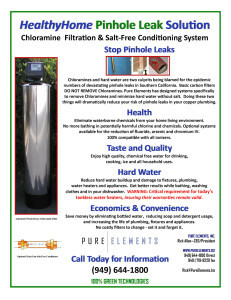 Often our clients want the added filtration a reverse osmosis system can provide for their drinking water. Our HealthyHome Solution is perfectly compatible with any RO system. The model we recommend is the Hydrotech 4VTFC50G-PB Pushbutton version. It can be purchased online. You can put in this RO system yourself if you are handy, or any qualified plumber or handyman should be able to provide installation for you. 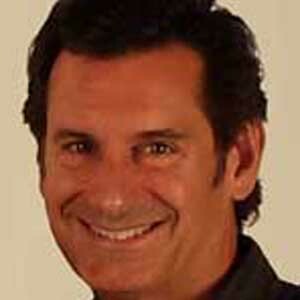 If you live in Southern California, we can install one for you. Call us for details. The Hydrotech VTFC50G-PB is a premier RO system. We feel it is the best reverse osmosis system for the money and for a drinking water application. 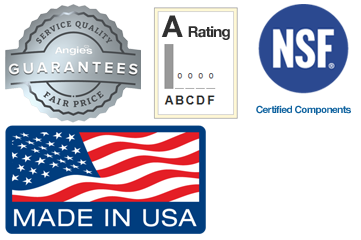 Our 35 years of experience with reverse osmosis has taught us there are certain features that are ideal in RO systems. Multiple stages of filtration are required, in addition to the RO membrane component. The Hydrotech VTFC50G-PB is a four-stage filter. The more stages the reverse osmosis system has the more efficient it is at removing organics, pesticides, chemicals, pathogens, dissolved solids and VOCs (Volatile Organic Compounds) from your home’s water. We also prefer and suggest a built-in water quality monitor to let you know you need to replace the RO membrane. The 4VTFC50G-PB Pushbutton model provides this capability and delivers ease in monitoring your RO’s function. It includes a built-in push button water quality monitor called the Smartap to help you know that your membrane needs replacing. A green light means the system if functioning correctly, while a yellow light signals a membrane replacement is needed. Depending on frequency of use, you will need to replace the filters about every 6 months to a year. Changing filters is relatively simple, and if you stick to the schedule of change out at least every year, you will get 4 – 7 years of life from the reverse osmosis membrane (which is the core of the system). The Hydrotech system comes with a limited warranty that covers the construction of the unit, but not the replaceable filters or membranes (because component life is dependent on use, volume and the amount of contaminants in the water). 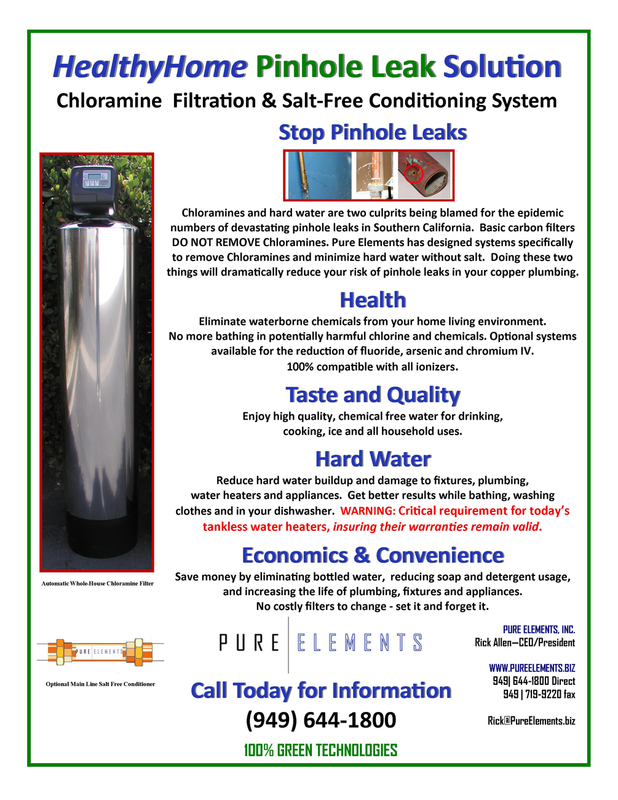 Please feel free to contact us if you have any questions regarding these drinking water systems.